We are well into our Canadian winter and still have many more weeks to go. 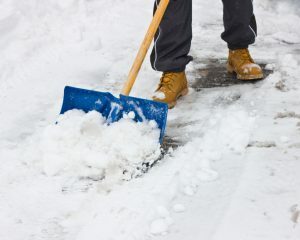 This makes it the perfect time to share some winter safety tips, particularly around propane supplies and storage. We don’t slow down much for winter and expect our propane powered machines to be just as resilient. Even so, there are safety considerations when it comes to using propane during winter weather, storms, and the extreme cold. Propane suppliers in the GTA, like Josef Gas, are always advising customers to be prepared for winter storms well before they happen. In many cases, good prep work can eliminate problems before they arise and reduce the chances of storm damage to your propane tanks and machines. Mark the tanks. Large, standalone propane tanks should be marked with a flag or stake to avoid accidents with snowplows and snowblowers during heavy snowfall. The same procedure should be followed for cages and tanks that might be harder to see in a snowstorm. Check your supply. If a big storm is approaching, make sure you have enough propane on hand to fuel your forklifts and other propane powered machines just in case roads are blocked or delivery schedules are off. Contact Josef Gas ahead of time to arrange early delivery or extra delivery of propane tanks. Ensure adequate ventilation. Be sure your ventilation systems are working well and clear of snow. Check CO detectors for proper operation. Check regulators and valves, which can crack or freeze during extreme cold. Once the storm dies down, it’s clean-up time. Clear snow and ice from around aboveground propane tanks to lessen the chances of pipes freezing and cracking and clear a path to your cage and cylinders. Inspect cylinders, valves, and regulators for storm damage and to ensure proper operation. Report any problems to whichever of the propane suppliers in the GTA that you contract with for propane. Don’t try to repair the cylinder or valve yourself. Our flexible delivery options and the largest on-site propane tank in the area make Josef Gas tops among propane suppliers in GTA. Contact us to change propane suppliers in the GTA, set up a propane delivery schedule, or to stock up before a big storm. 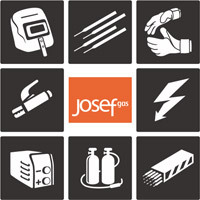 Call 416.658.1212 or visit us www.josefgases.com to get started!